Nathan East, Bass Guitar - Alex Brown, Backing Vocals - Phil Collins, Producer, Drums, Keyboards, Vocals, Writer, MainArtist - Daryl Steurmer, Guitar - Harry Kim, Trumpet - Hugh Padgham, Producer - Don Myrick, Saxophone - DOMINIC MILLER, Guitar - Lynn Fiddmont, Backing Vocals - Marva King, Backing Vocals - Phenix Horns, Band Member - Louis Slatterfield, Trombone - Rhamlee Michael Davis, Trumpet Copyright : 2016 Philip Collins Ltd. under exclusive license to Rhino Entertainment Company, A Warner Music Group Company 1989 Atlantic Records for US & Canada. 2016 Remastered Philip Collins Ltd. under exclusive license to Rhino Entertainment Company, A Warner Music Group Company. David Crosby, Vocals - Phil Collins, Producer, Keyboards, Percussion, Vocals, Writer, MainArtist - Daryl Steurmer, Guitar - Leland Sklar, Bass Guitar - Hugh Padgham, Producer Copyright : 2016 Philip Collins Ltd. under exclusive license to Rhino Entertainment Company, A Warner Music Group Company 1989 Atlantic Records for US & Canada. 2016 Remastered Philip Collins Ltd. under exclusive license to Rhino Entertainment Company, A Warner Music Group Company. Nathan East, Bass Guitar - Alex Brown, Backing Vocals - Daryl Stuermer, Writer - Phil Collins, Producer, Drums, Keyboards, Vocals, Writer, MainArtist - Daryl Steurmer, Guitar - Harry Kim, Trumpet - Hugh Padgham, Producer - Don Myrick, Saxophone - DOMINIC MILLER, Guitar - Lynn Fiddmont, Backing Vocals - Marva King, Backing Vocals - Phenix Horns, Band Member - Louis Slatterfield, Trombone - Rhamlee Michael Davis, Trumpet Copyright : 2016 Philip Collins Ltd. under exclusive license to Rhino Entertainment Company, A Warner Music Group Company 1989 Atlantic Records for US & Canada. 2016 Remastered Philip Collins Ltd. under exclusive license to Rhino Entertainment Company, A Warner Music Group Company. 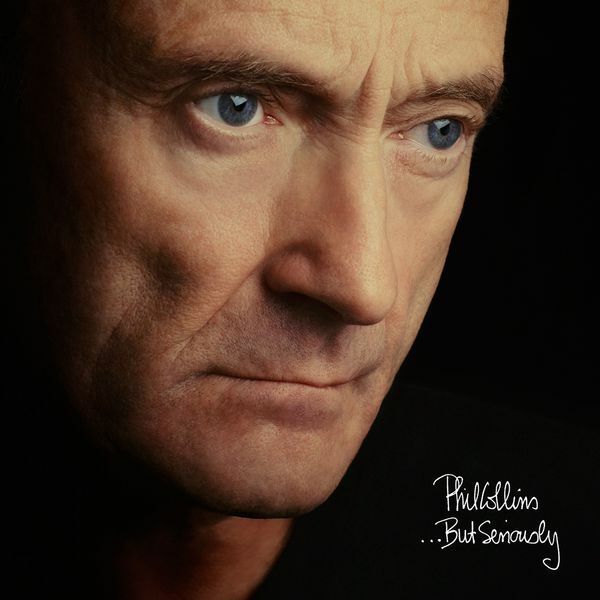 Phil Collins, Producer, Drums, Keyboards, Vocals, Writer, MainArtist - Harry Kim, Trumpet - Leland Sklar, Bass Guitar - Hugh Padgham, Producer - Don Myrick, Saxophone - DOMINIC MILLER, Guitar - Phenix Horns, Band Member - Louis Slatterfield, Trombone - Rhamlee Michael Davis, Trumpet Copyright : 2016 Philip Collins Ltd. under exclusive license to Rhino Entertainment Company, A Warner Music Group Company 1989 Atlantic Records for US & Canada. 2016 Remastered Philip Collins Ltd. under exclusive license to Rhino Entertainment Company, A Warner Music Group Company. Phil Collins, Writer, MainArtist Copyright : 2016 Philip Collins Ltd. under exclusive license to Rhino Entertainment Company, A Warner Music Group Company 1989 Atlantic Records for US & Canada. 2016 Remastered Philip Collins Ltd. under exclusive license to Rhino Entertainment Company, A Warner Music Group Company. David Crosby, Vocals - Phil Collins, Producer, Band Member, Keyboards, Vocals, Writer, MainArtist - Leland Sklar, Bass - DOMINIC MILLER, Guitar Copyright : 2016 Philip Collins Ltd. under exclusive license to Rhino Entertainment Company, A Warner Music Group Company 1989 Atlantic Records for US & Canada. 2016 Remastered Philip Collins Ltd. under exclusive license to Rhino Entertainment Company, A Warner Music Group Company. Alex Brown, Backing Vocals - Phil Collins, Producer, Drums, Keyboards, Tambourine, Vocals, Writer, MainArtist - Daryl Steurmer, Guitar - Harry Kim, Trumpet - Leland Sklar, Bass Guitar - Hugh Padgham, Producer - Don Myrick, Saxophone - Lynn Fiddmont, Backing Vocals - Marva King, Backing Vocals - Phenix Horns, Band Member - Louis Slatterfield, Trombone - Rhamlee Michael Davis, Trumpet Copyright : 2016 Philip Collins Ltd. under exclusive license to Rhino Entertainment Company, A Warner Music Group Company 1989 Atlantic Records for US & Canada. 2016 Remastered Philip Collins Ltd. under exclusive license to Rhino Entertainment Company, A Warner Music Group Company. Alex Brown, Backing Vocals - Phil Collins, Producer, Drums, Keyboards, Vocals, Writer, MainArtist - Steve Winwood, Organ - Leland Sklar, Bass Guitar - Hugh Padgham, Producer - Don Myrick, Alto Saxophone - DOMINIC MILLER, Guitar - Lynn Fiddmont, Backing Vocals - Marva King, Backing Vocals Copyright : 2016 Philip Collins Ltd. under exclusive license to Rhino Entertainment Company, A Warner Music Group Company 1989 Atlantic Records for US & Canada. 2016 Remastered Philip Collins Ltd. under exclusive license to Rhino Entertainment Company, A Warner Music Group Company. Daryl Stuermer, Writer - Phil Collins, Producer, Drums, Percussion, MainArtist - Harry Kim, Trumpet - Leland Sklar, Bass Guitar - Hugh Padgham, Producer - Don Myrick, Saxophone - Thomas Washington, Writer - Phenix Horns, Band Member - Louis Slatterfield, Trombone - Rhamlee Michael Davis, Trumpet Copyright : 2016 Philip Collins Ltd. under exclusive license to Rhino Entertainment Company, A Warner Music Group Company 1989 Atlantic Records for US & Canada. 2016 Remastered Philip Collins Ltd. under exclusive license to Rhino Entertainment Company, A Warner Music Group Company. Phil Collins, Producer, Drums, Keyboards, Vocals, Writer, MainArtist - Daryl Steurmer, Guitar - Leland Sklar, Bass Guitar - Hugh Padgham, Producer Copyright : 2016 Philip Collins Ltd. under exclusive license to Rhino Entertainment Company, A Warner Music Group Company 1989 Atlantic Records for US & Canada. 2016 Remastered Philip Collins Ltd. under exclusive license to Rhino Entertainment Company, A Warner Music Group Company. Phil Collins, Producer, Drums, Keyboards, Percussion, Vocals, Writer, MainArtist - Daryl Steurmer, Guitar - Harry Kim, Trumpet - Leland Sklar, Bass Guitar - Hugh Padgham, Producer - Don Myrick, Saxophone - Phenix Horns, Band Member - Louis Slatterfield, Trombone - Rhamlee Michael Davis, Trumpet Copyright : 2016 Philip Collins Ltd. under exclusive license to Rhino Entertainment Company, A Warner Music Group Company 1989 Atlantic Records for US & Canada. 2016 Remastered Philip Collins Ltd. under exclusive license to Rhino Entertainment Company, A Warner Music Group Company.